With these three summer day trips from New York City, trade in the hot, noisy city streets for the sound of breaking waves, the taste of local wine and the feeling of shopping bags full of bargains in both arms. During the hot and humid New York City summer, it’s refreshing to escape to somewhere calmer, cooler or just plain different. Fortunately, that’s pretty easy: many great destinations are a quick ride from Manhattan. Play on Long Island’s beaches. 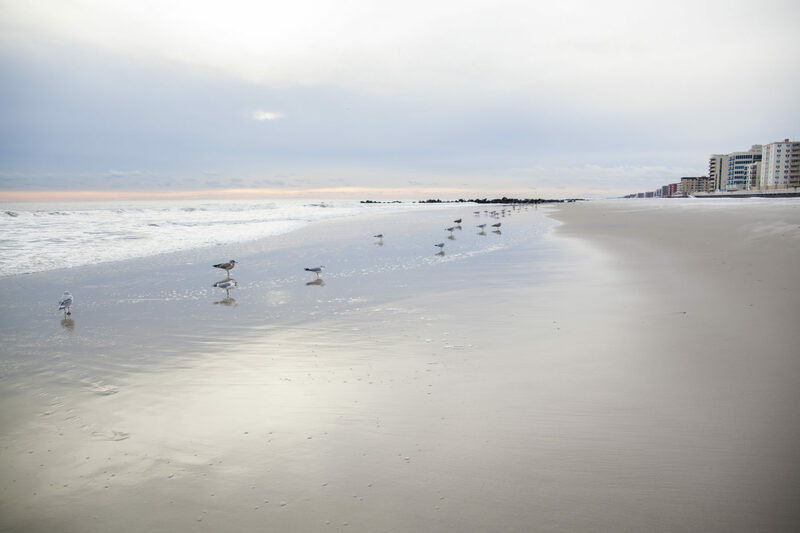 Long Island, located directly east of the city, has a beach to suit almost any mood — and two terrific ones are accessible via public transportation. When it’s sunny and I’m craving a quick getaway, I head to Penn Station and catch a 50-minute Long Island Rail Road (LIRR) train to Long Beach. 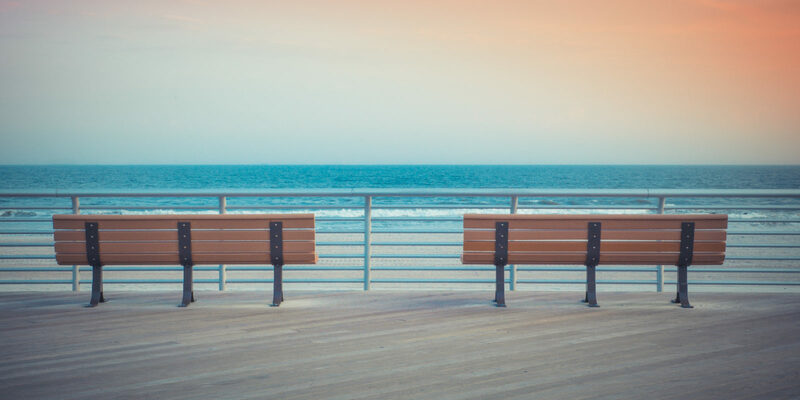 I often go for the weekend, but because Long Beach station is a short walk from the city’s famed wooden boardwalk and the Atlantic Ocean’s sandy shores, it’s easy go there and back in a day. Pack an insulated tote with cold drinks and sandwiches, purchase a beach pass (available at entrances on the boardwalk) and relish your day of sunning and swimming. For an even more idyllic experience, I head to Kismet, a beach community on the blissful, car-free Fire Island. To get there, I take the LIRR east to Bay Shore (about 70 minutes on the Babylon and Montauk branches), catch a shuttle to the nearby Fire Island ferry dock and then enjoy an exhilarating ride across the Great South Bay. When you arrive, it’s like stepping into a movie about the perfect summer day: Happy families pull cooler-stocked wagons along seagrass-lined pathways to the beach, while kids on bikes lick ice cream cones and friends gather for soft shell crab or fried clam sandwiches, burgers and fries at Kismet’s two eateries — The Inn and The Out. You can stay until just past sunset and still catch a return ferry and connecting train back to the city. 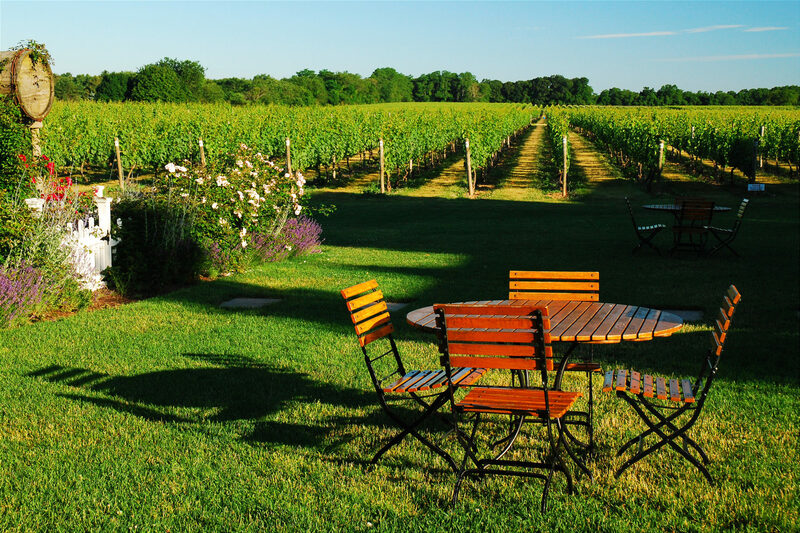 Visit a few North Fork wineries. Long Island’s North Fork wine region is my favorite destination for a relaxing country weekend, but you can even squeeze in a day trip. The area is located about two hours from the city on the northeastern end of the island, including the towns of Cutchogue, Jamesport, Peconic, Mattituck and Southold. It’s filled with farms and roadside stands selling fresh produce all summer long, but its main draw is the wealth of vineyards (more than 40!). Most are open seven days a week for tastings, and can be reached via car, limo or party bus from New York. Just make sure that, whatever your mode of transportation, you have a designated driver for the day. I prefer to visit North Fork on weekdays when the pace is a bit more laid-back. That way I can sample merlots and cabernets — I’m a red-wine fan, but chardonnay and sauvignon blanc are plentiful here, too — at several tasting rooms without having to elbow other sippers out of the way. On weekends, crowds and traffic jams are the norm. Many wineries — including two of my favorites, Osprey’s Dominion in Peconic and Lieb Cellars in Cutchogue — also offer live music, so tasters tend to linger. It’s fun and festive, but don’t say I didn’t warn you about the brutal traffic. Shop one very cool outlet complex. There are thousands of places to shop in the Big Apple, so why would I head 50 miles north to Central Valley to spend my money? Because that’s where I can shop 240 outlet stores at Woodbury Common Premium Outlets. This massive complex has something for everyone. You can buy clothes, accessories, athletic gear and more from a wide range of brands — including high-end designer labels. I love to hunt for bargains; if you have the stamina, you can find really great deals here (and fuel up at Shake Shack or Le Pain Quotidien). It’s a relatively easy and scenic 70-minute drive if you rent a car, but buses also run multiple times daily between New York City’s Port Authority and Woodbury Common. Of course, if you take the bus, you won’t have a trunk for stashing your purchases. Then again, it’s a good way to curb the splurging — you can only buy what you’re able to carry back to the bus with your own two hands (although some serious shoppers bring along rolling suitcases). Check the local weather forecast in advance before booking any excursion. 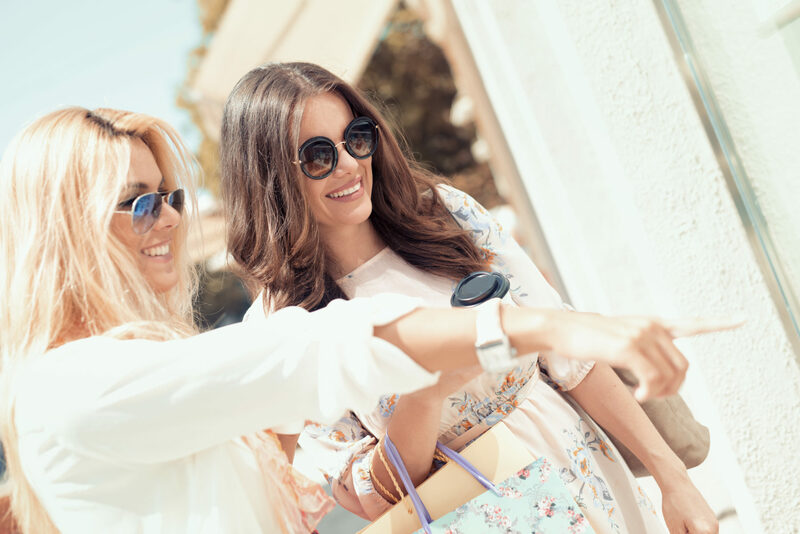 The beach will be a bust in the rain, and outlet shopping and wine-tasting are better in the sun, too — Woodbury Common is an outdoor mall, and sipping outdoors amid the vineyards is the best part of wine tasting.